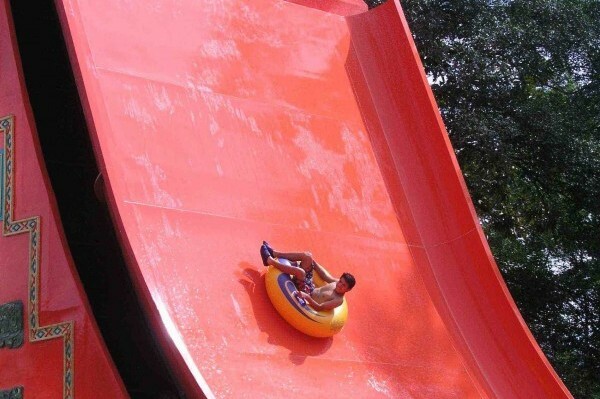 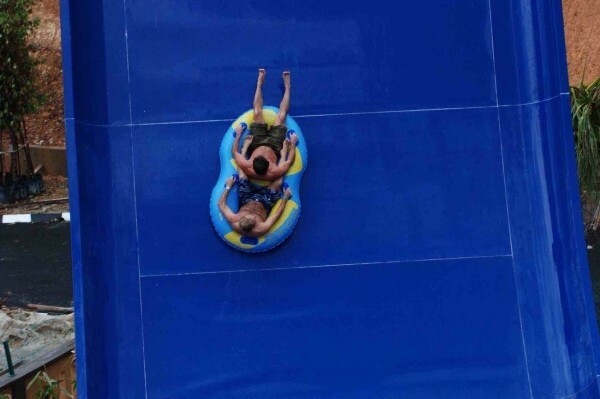 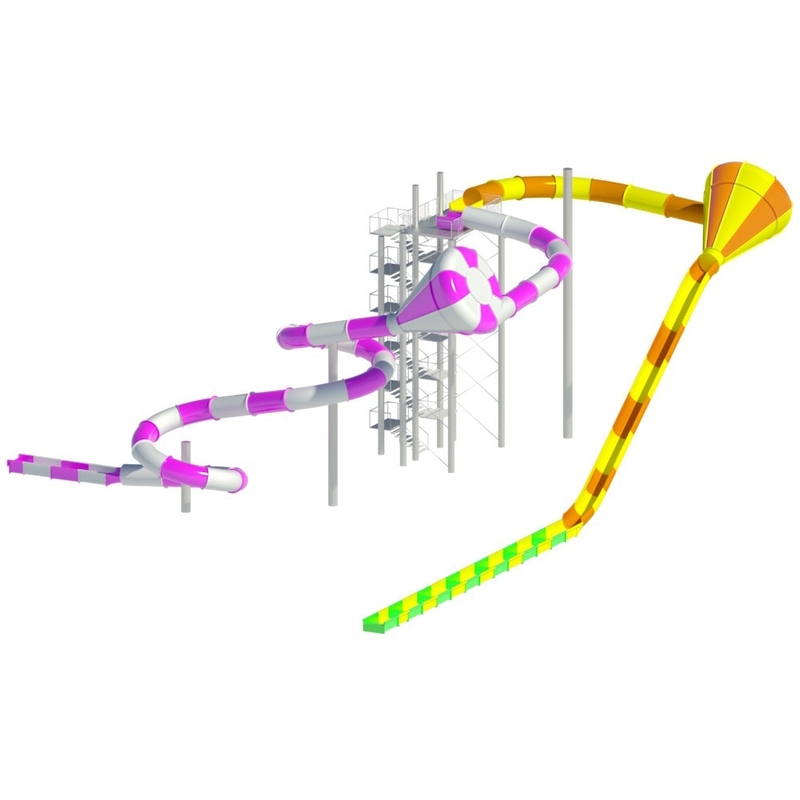 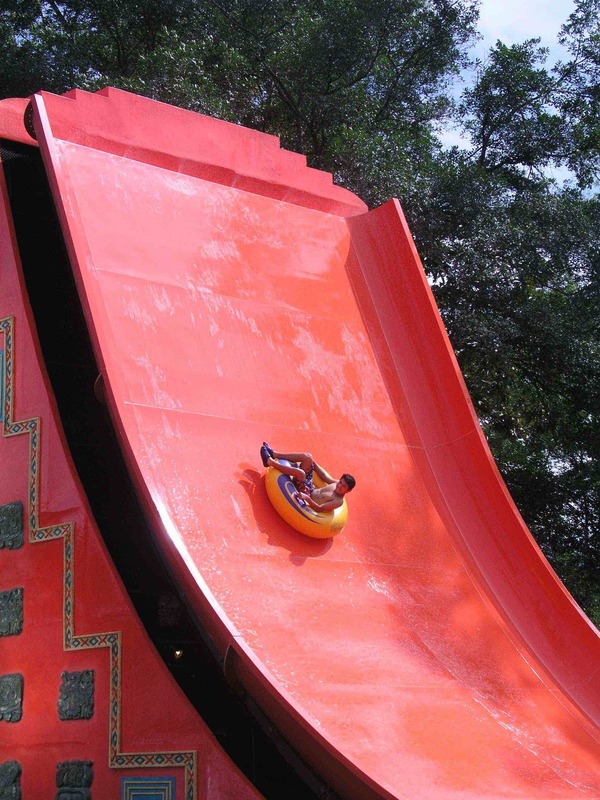 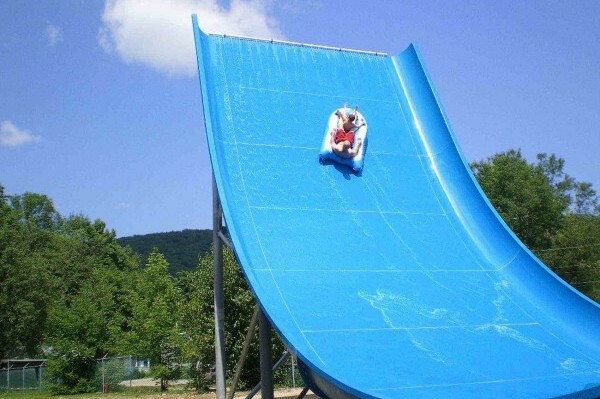 The Cannon water slide is a very sophisticated and special attraction. 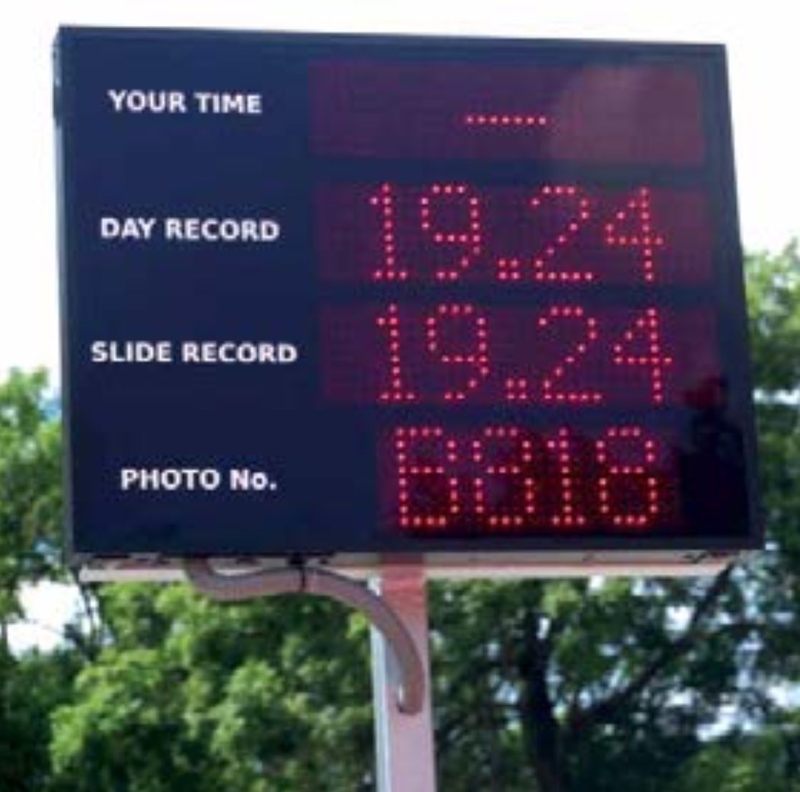 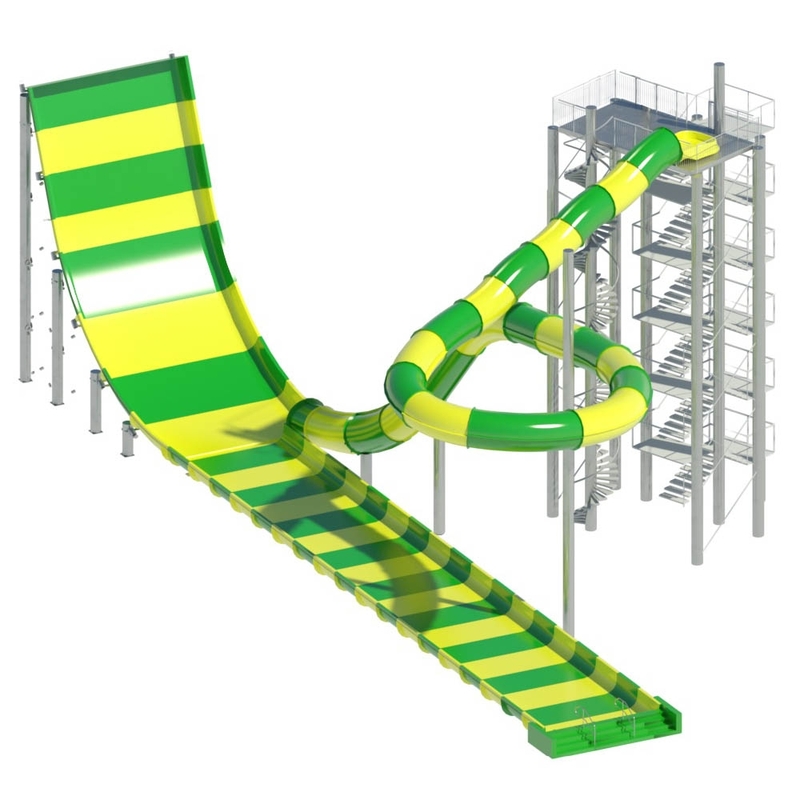 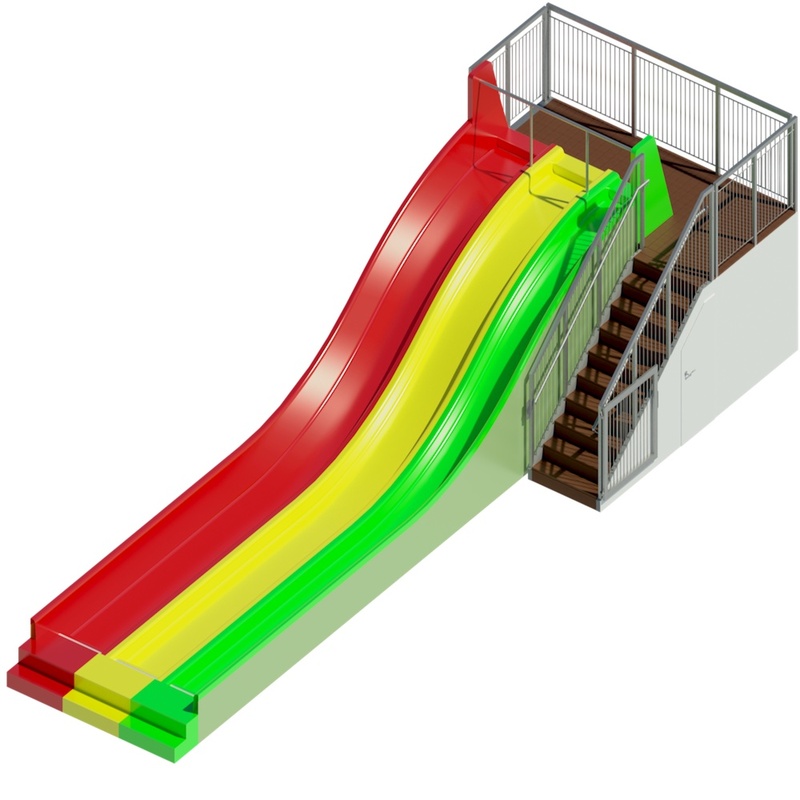 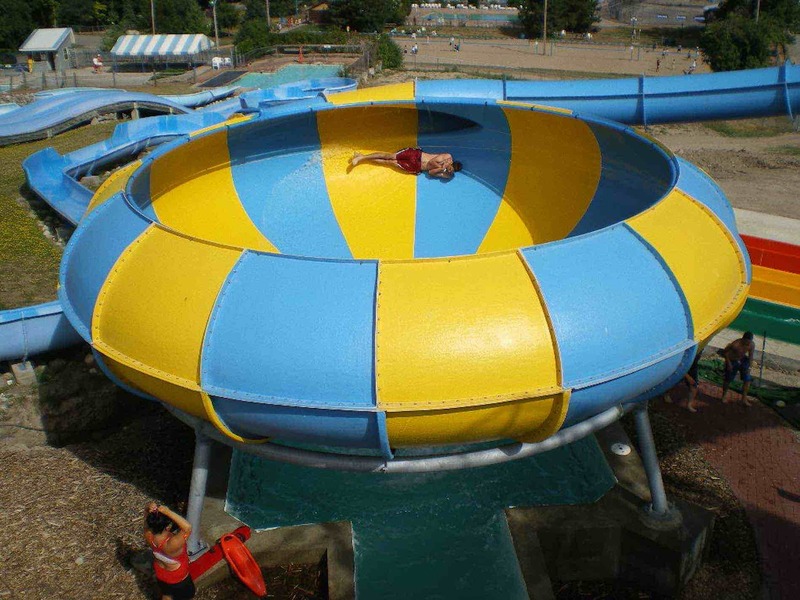 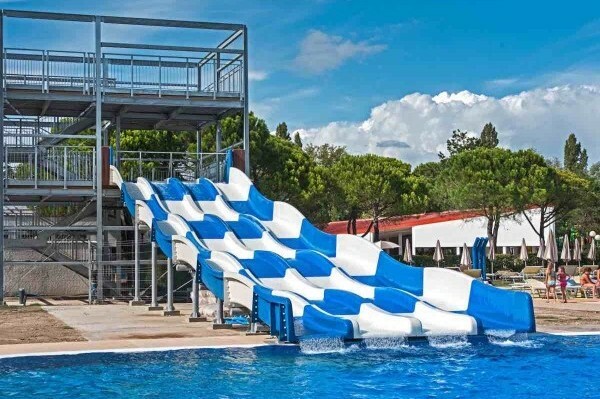 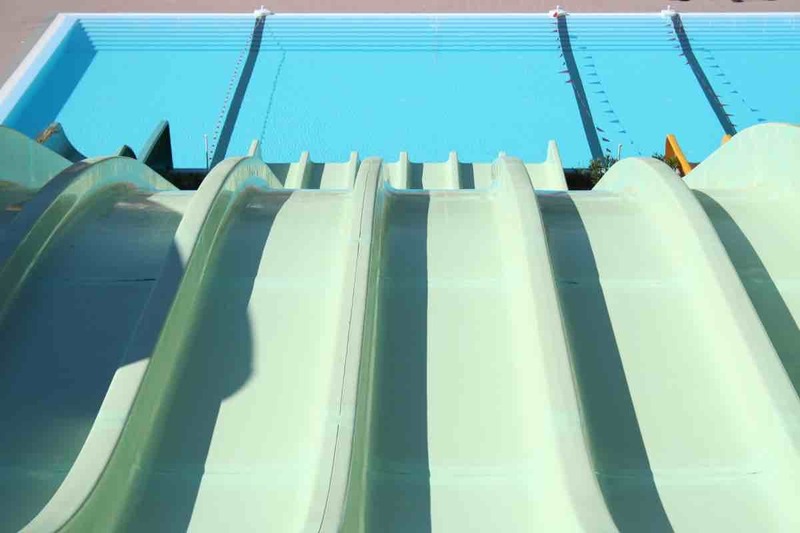 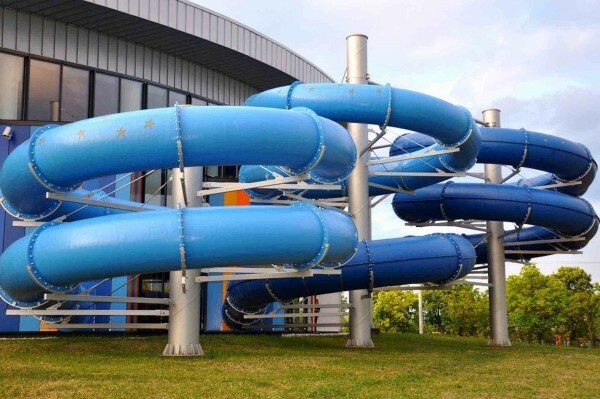 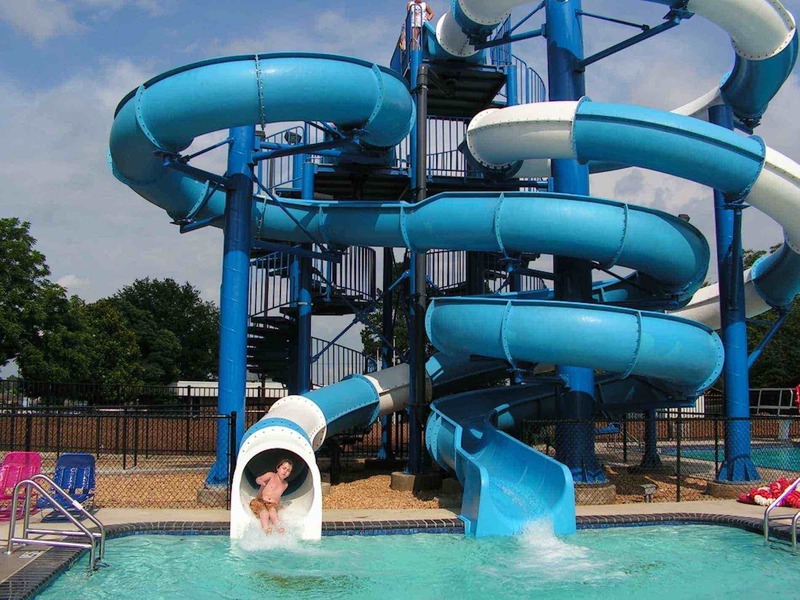 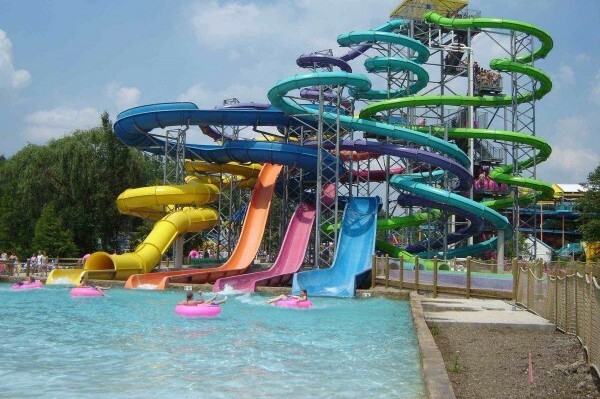 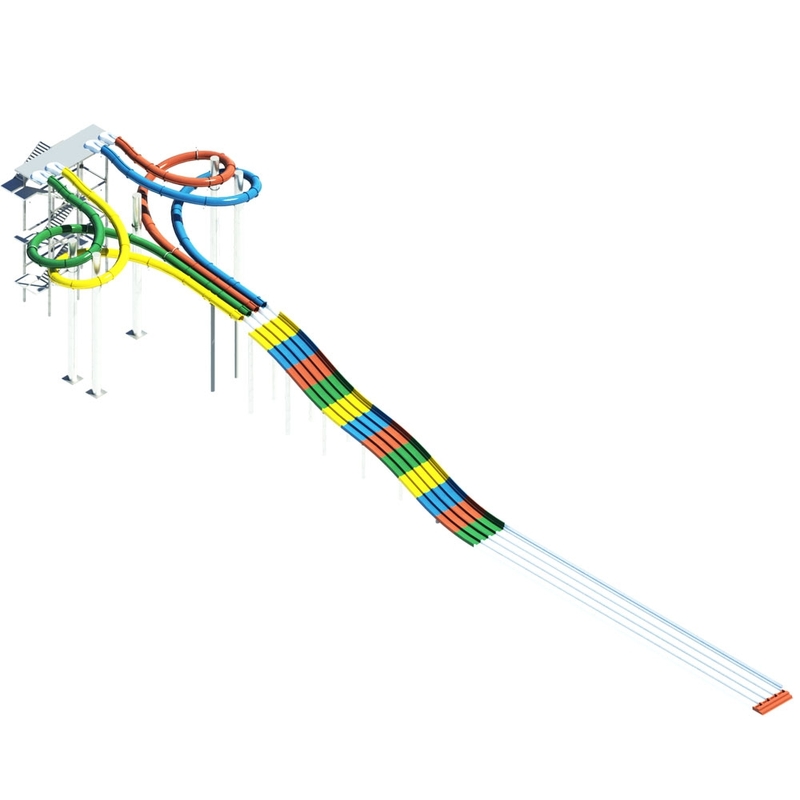 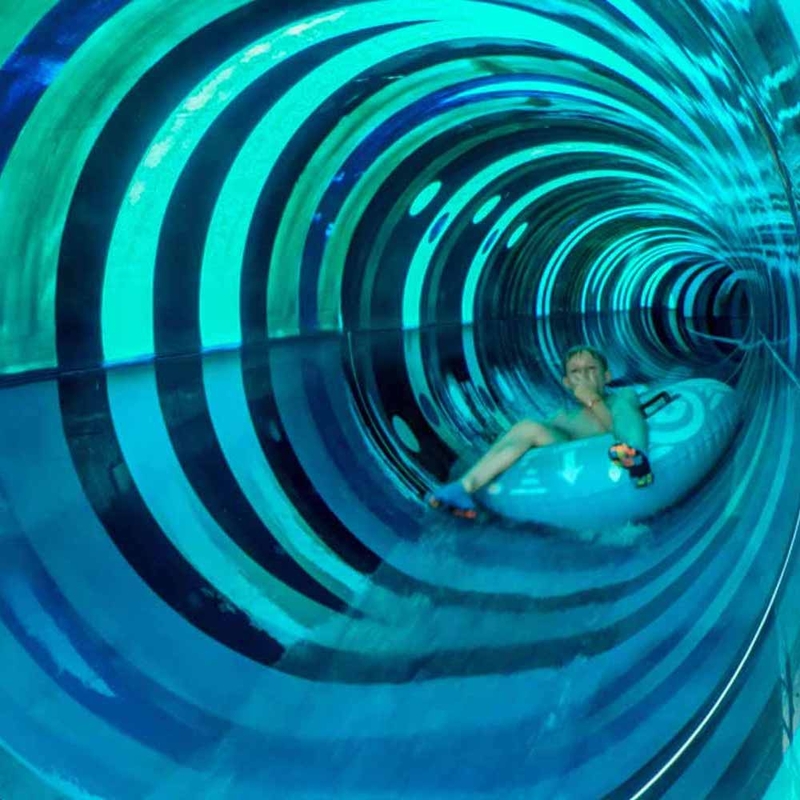 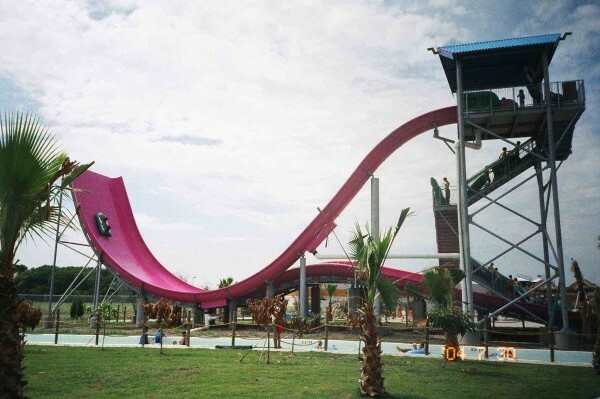 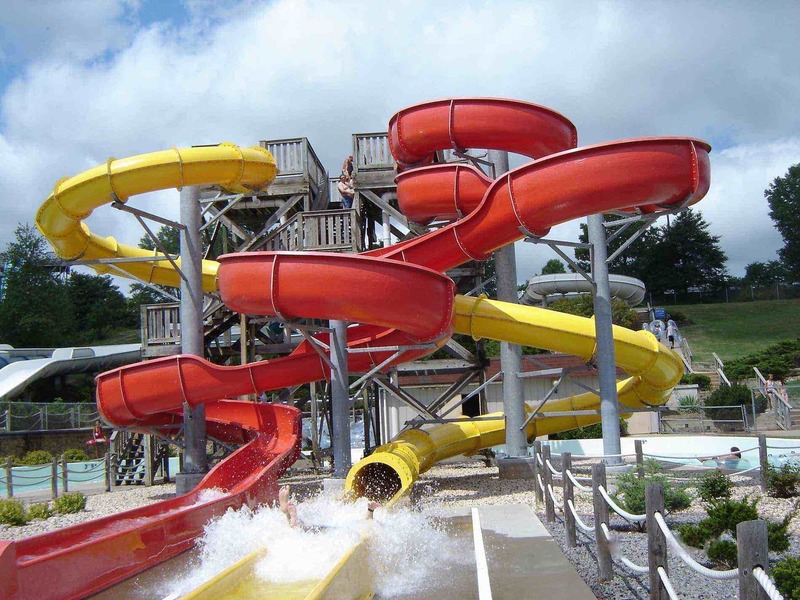 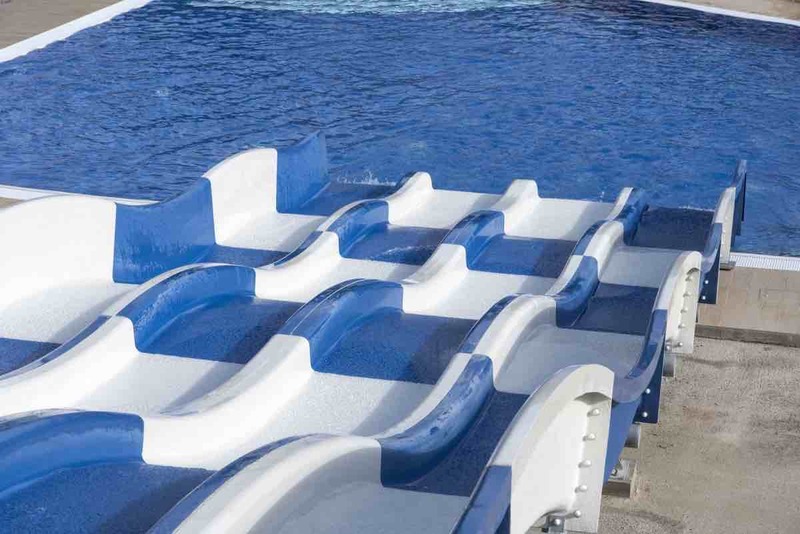 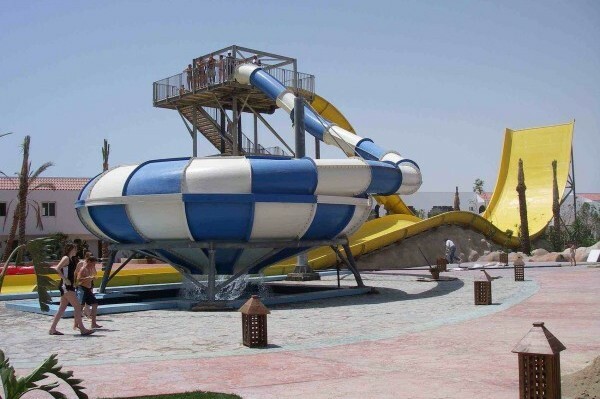 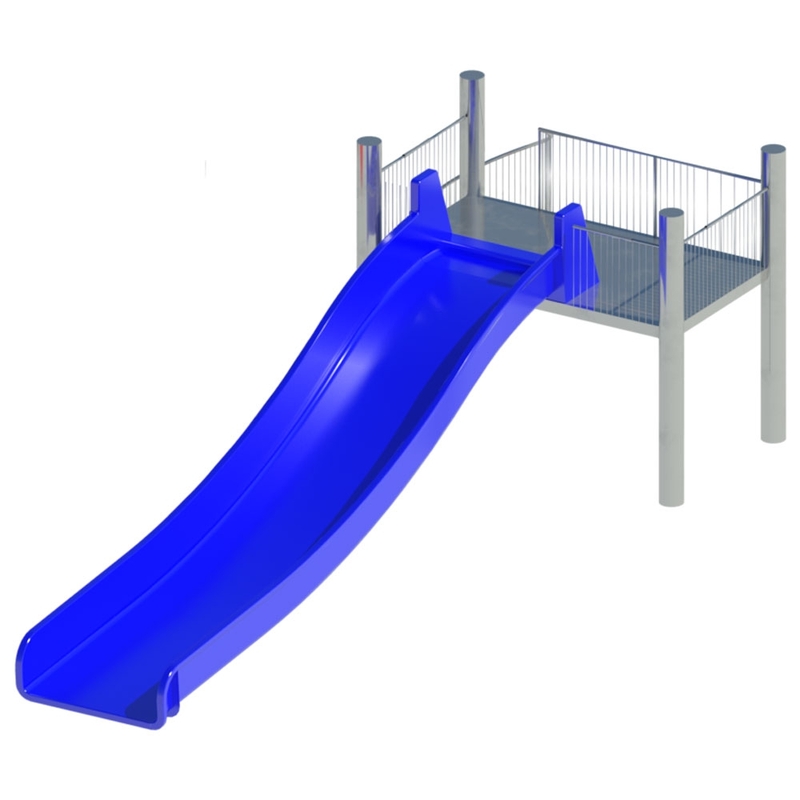 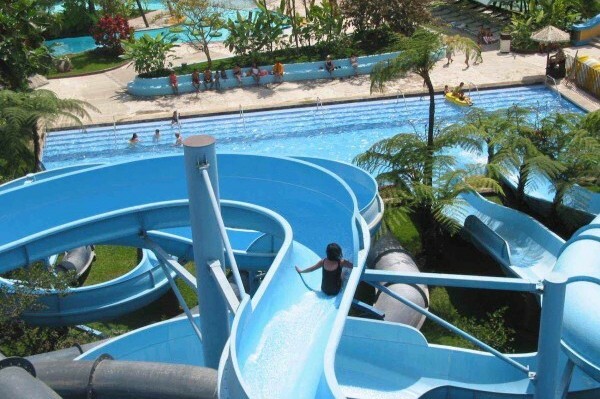 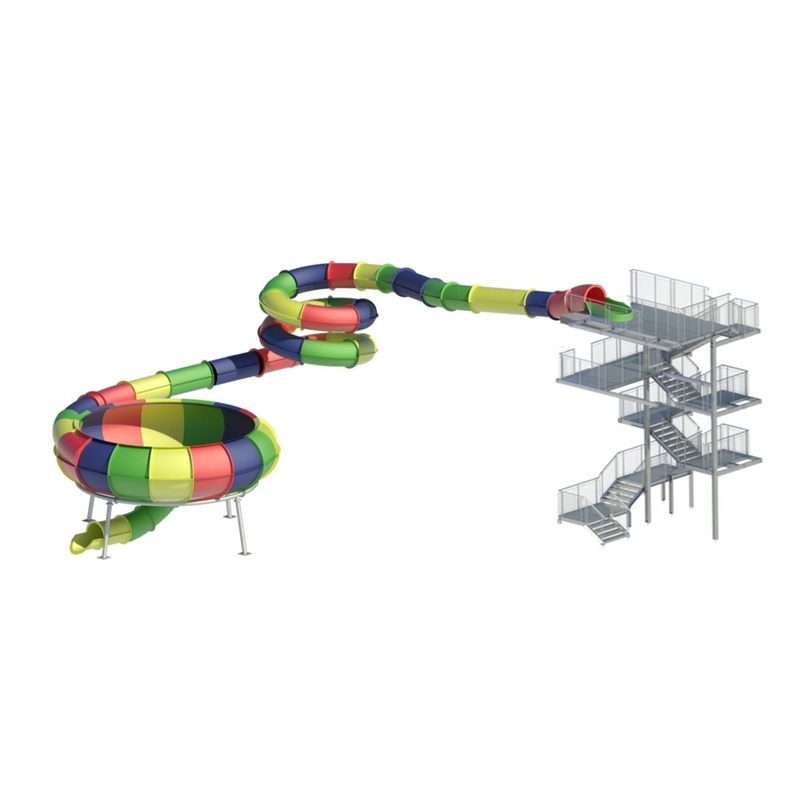 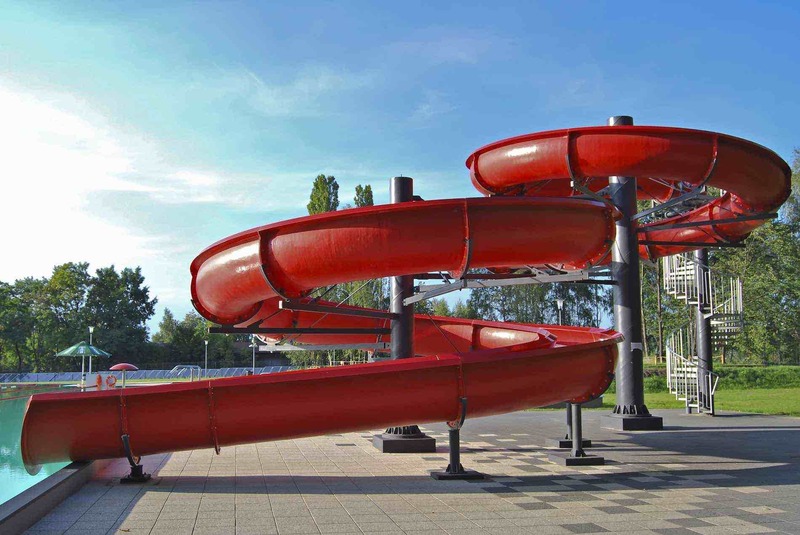 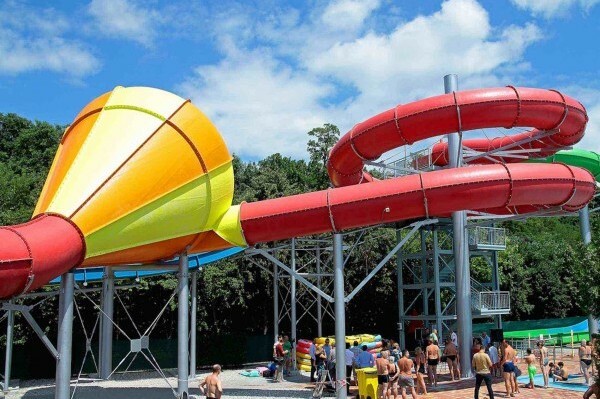 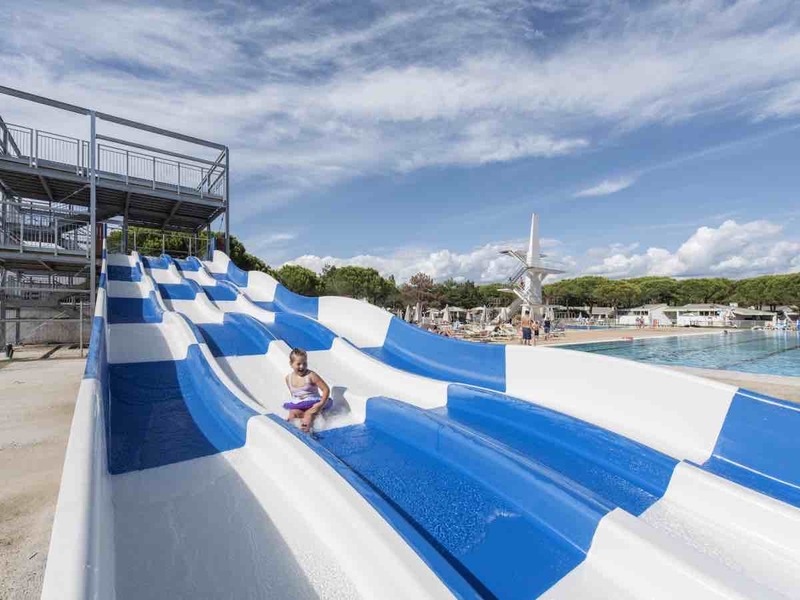 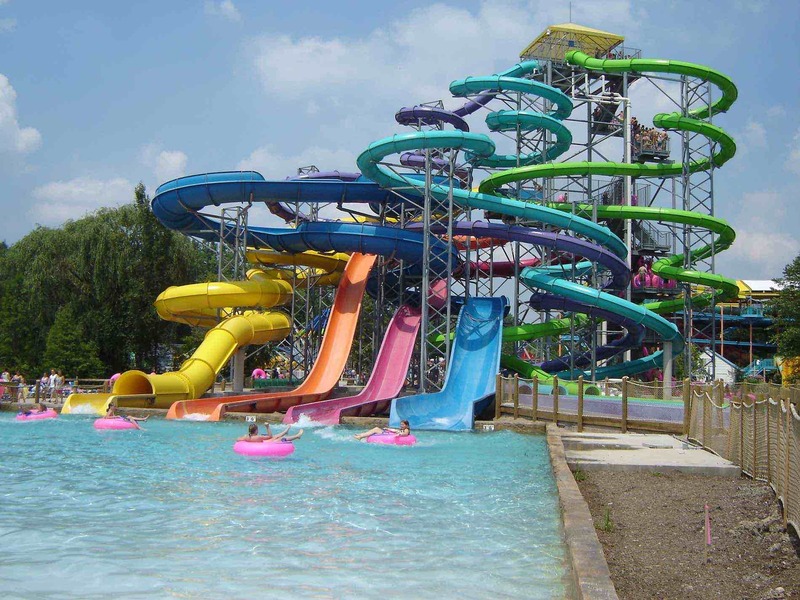 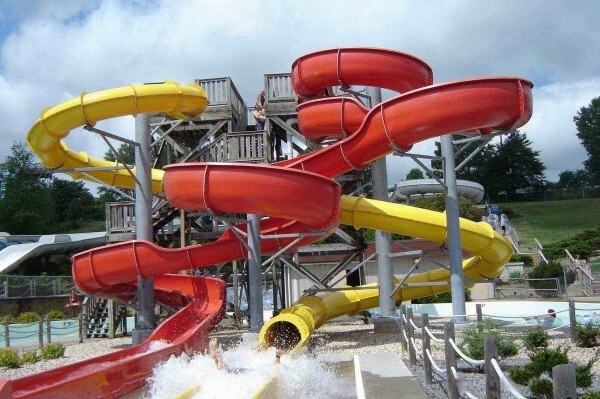 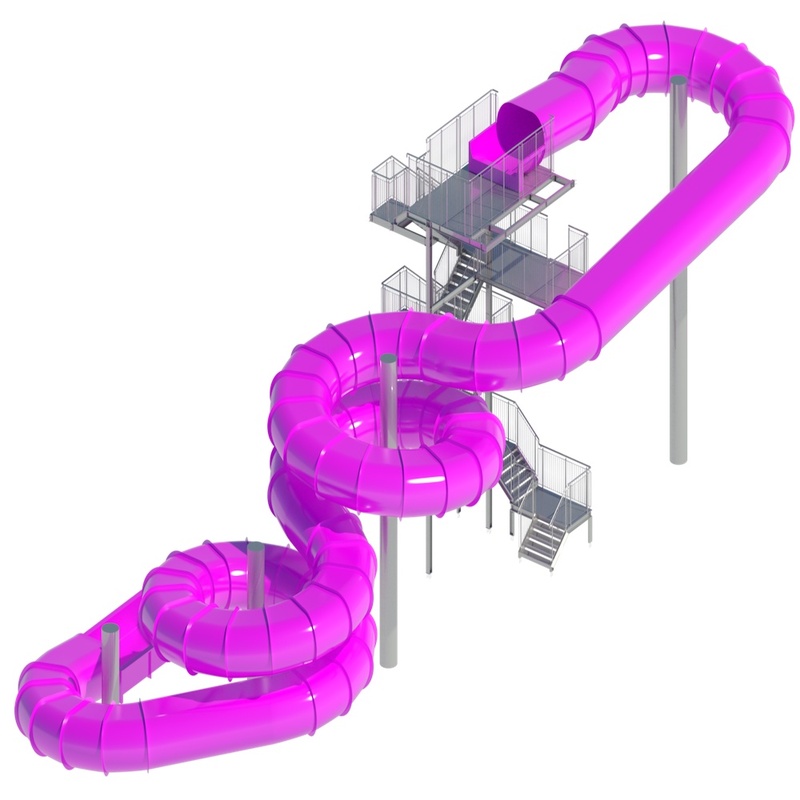 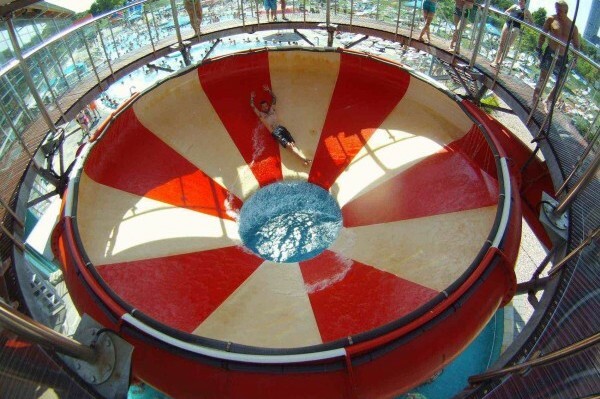 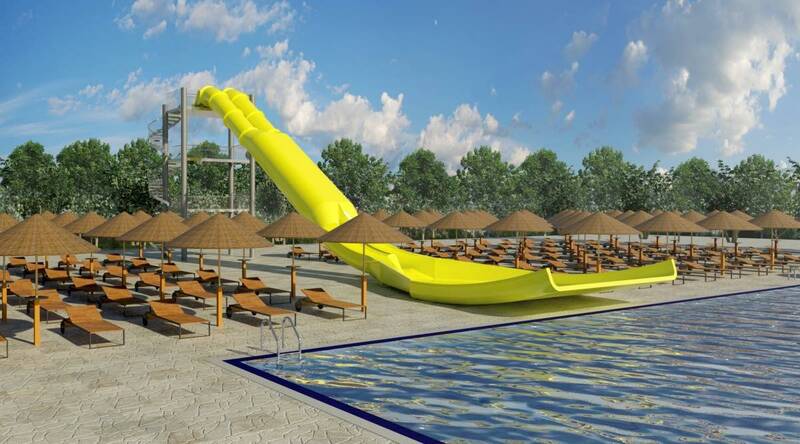 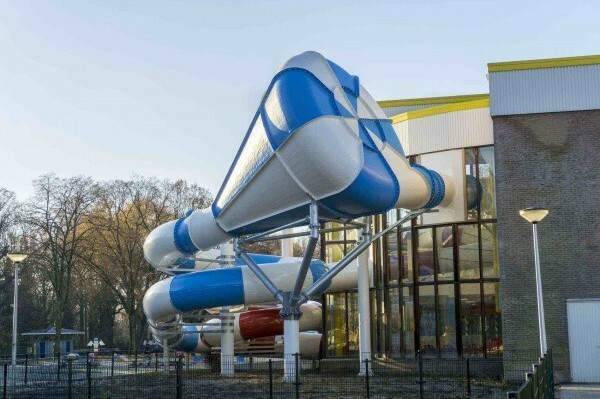 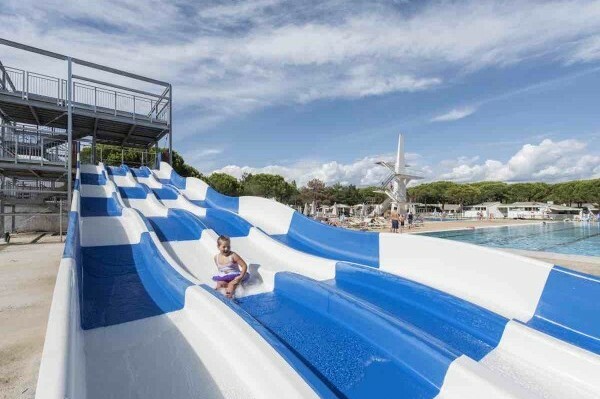 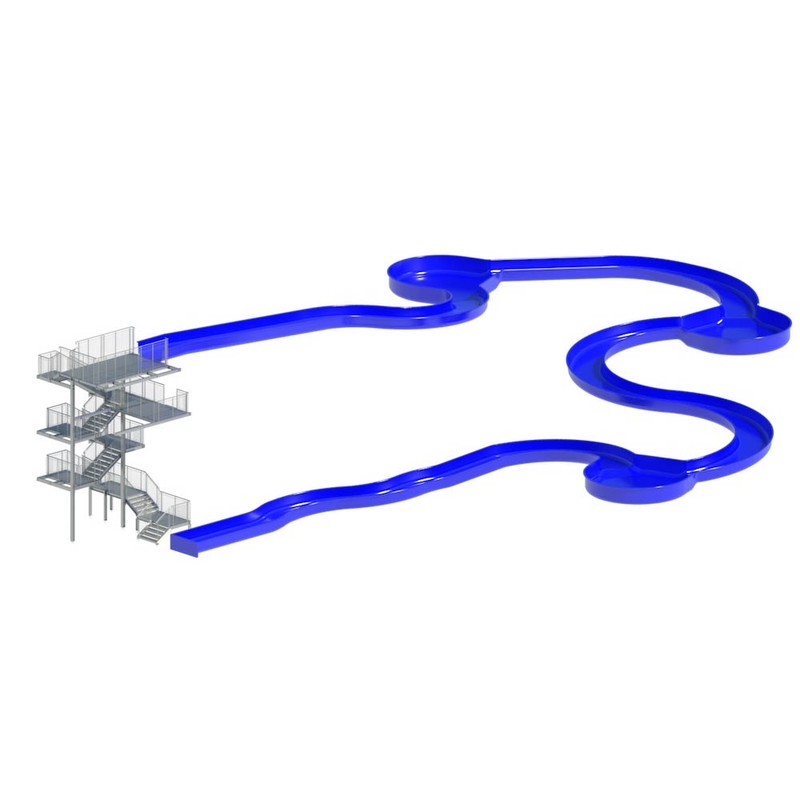 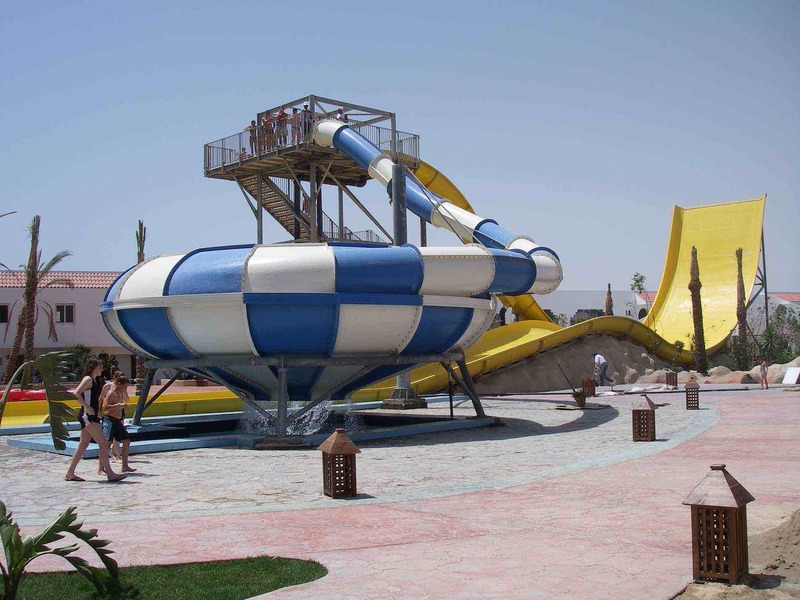 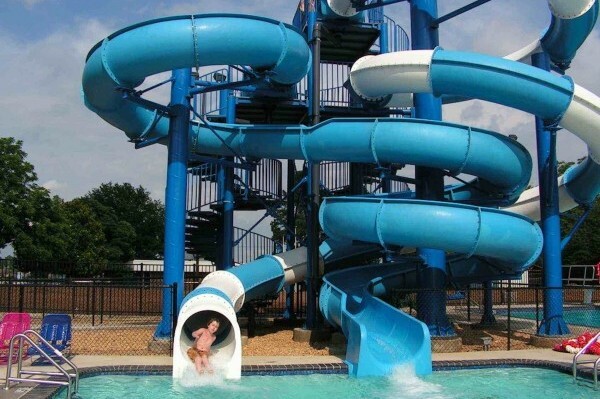 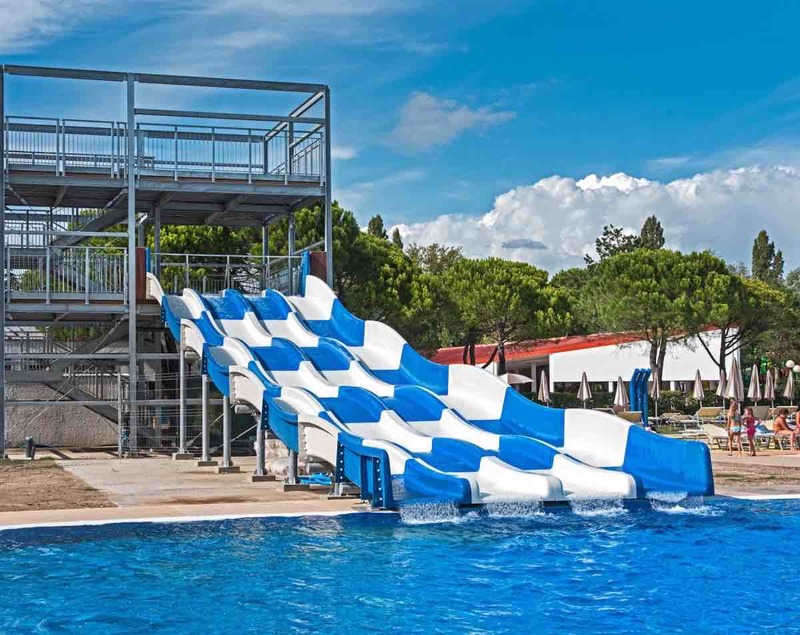 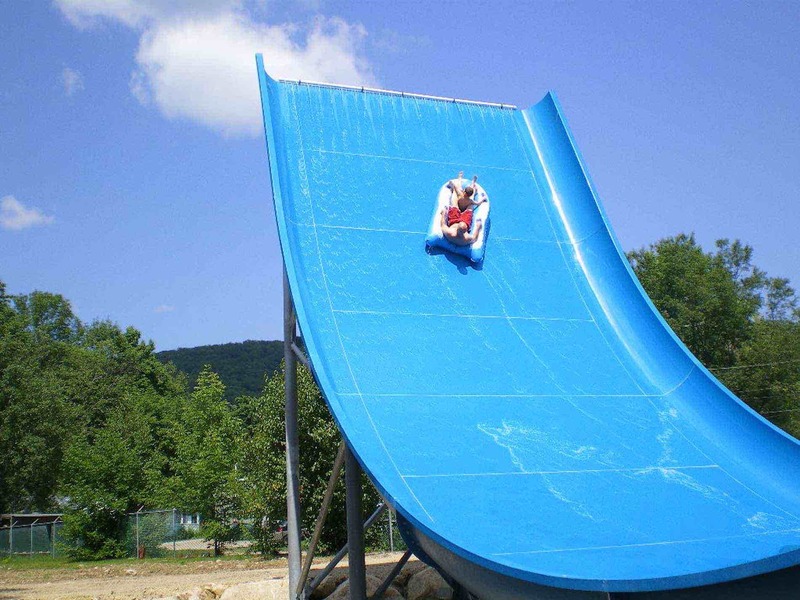 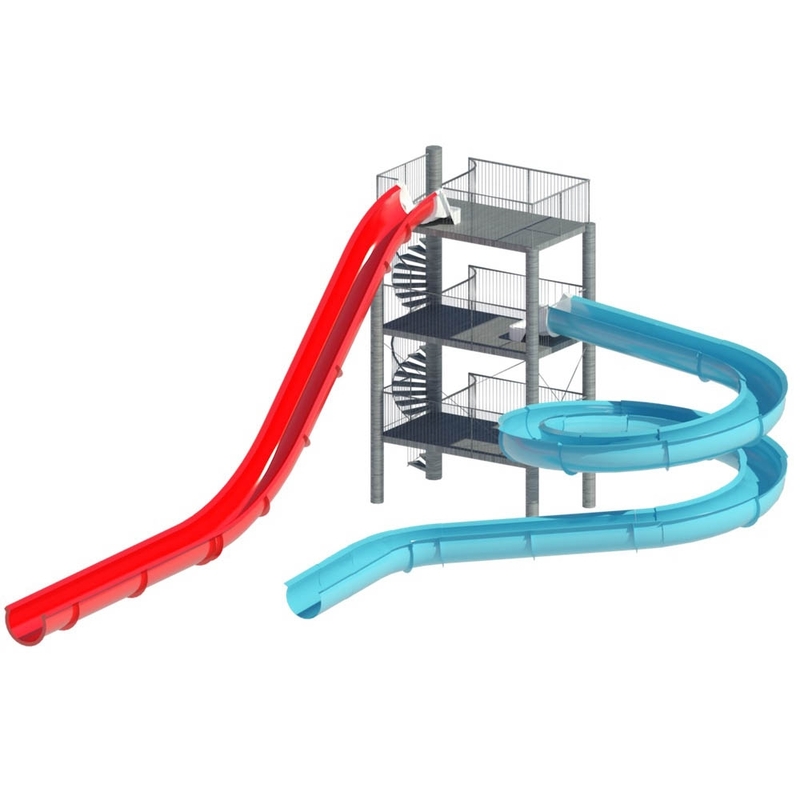 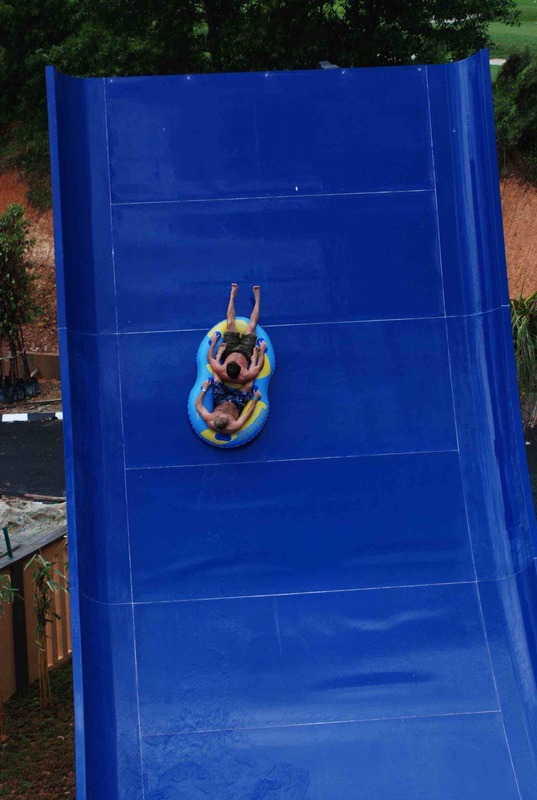 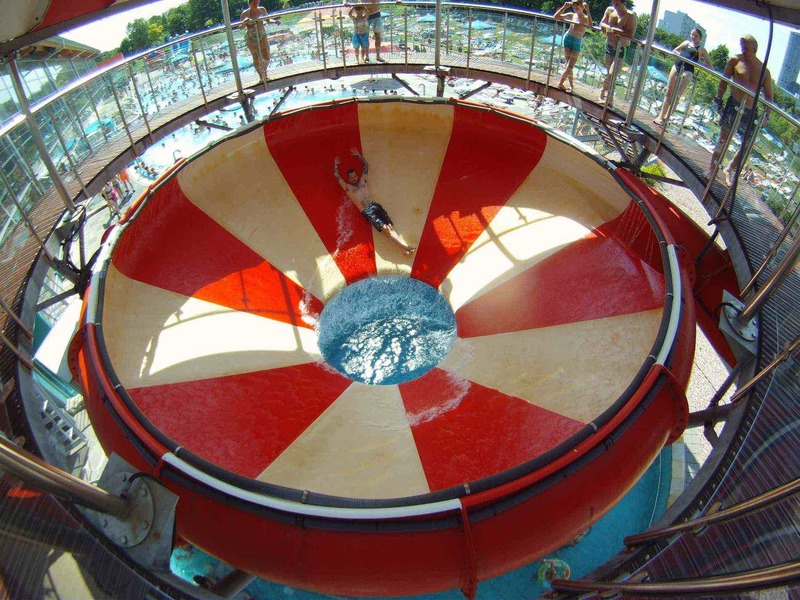 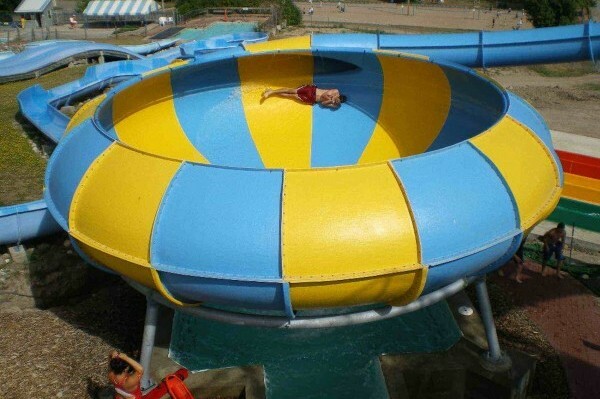 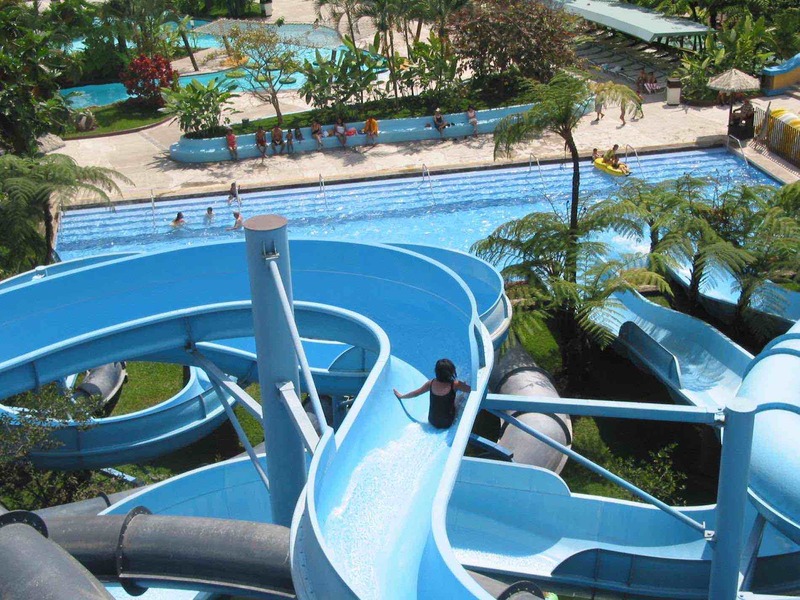 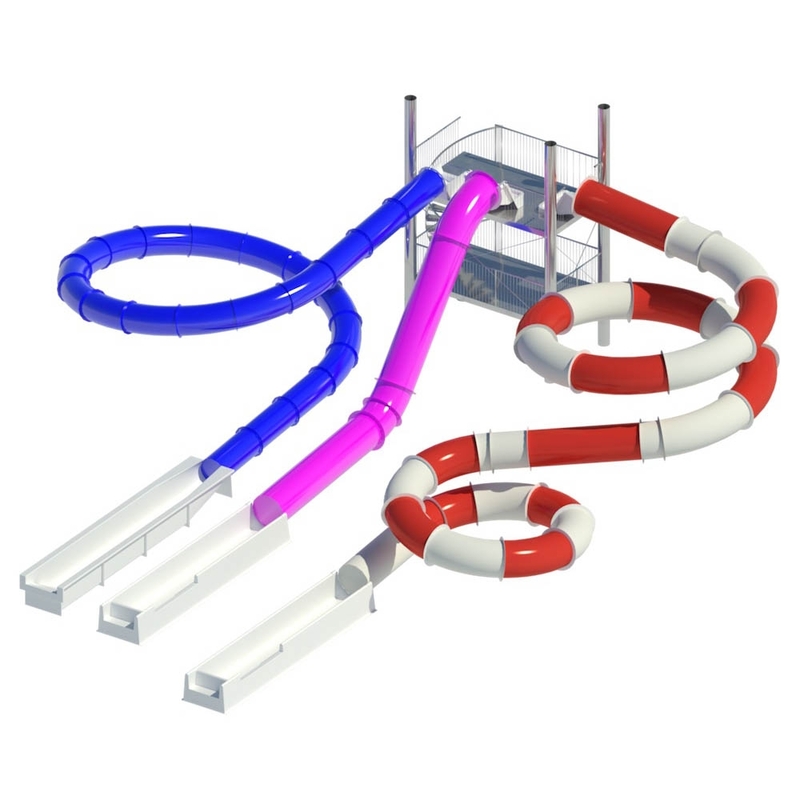 It consists of two channels with a diameter of 1000 mm and a double ramp that, thanks to the steep slope, allows users to reach a great speed to then finish the adrenaline path in an exciting jump in the pool. 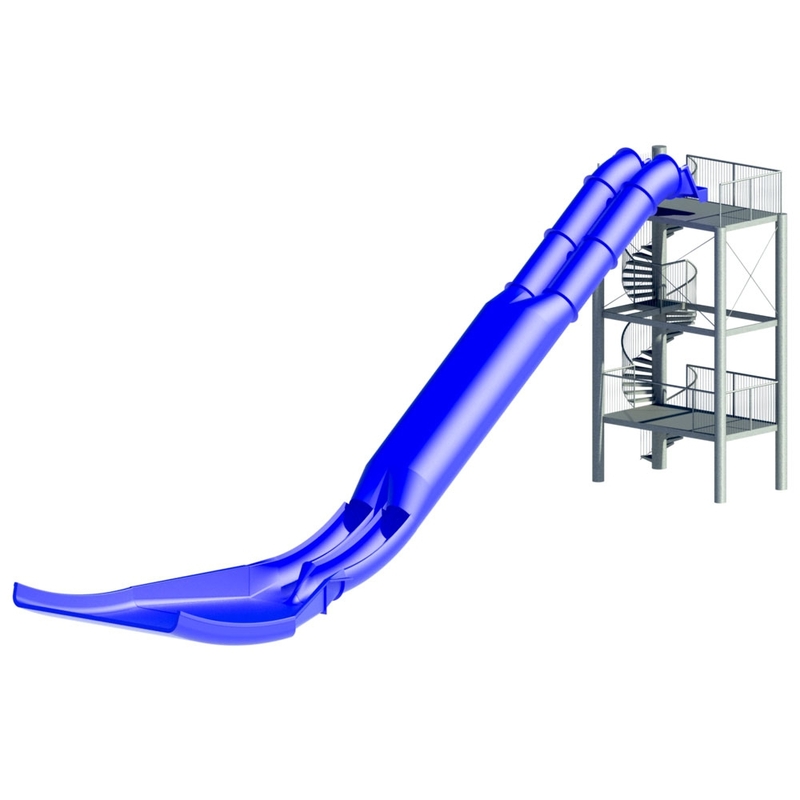  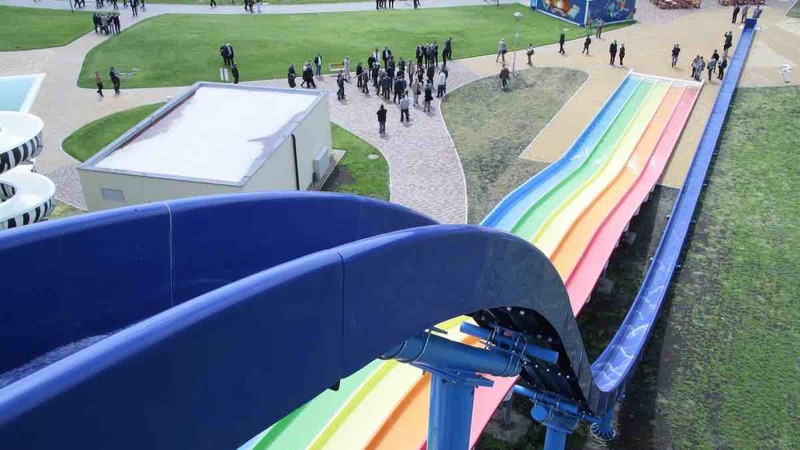 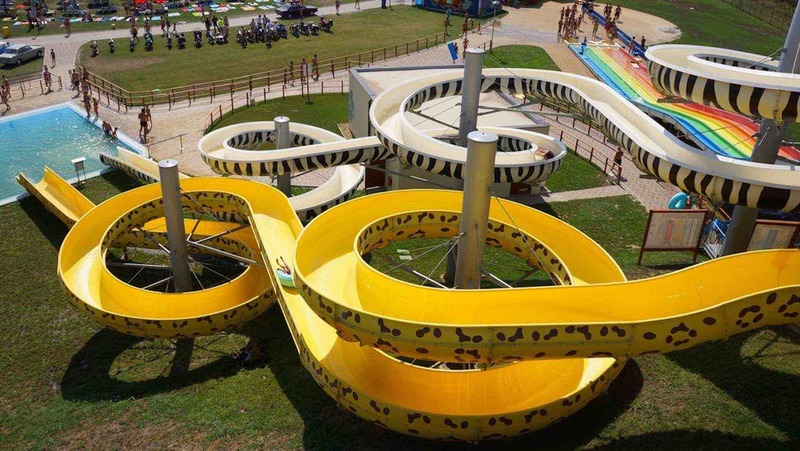 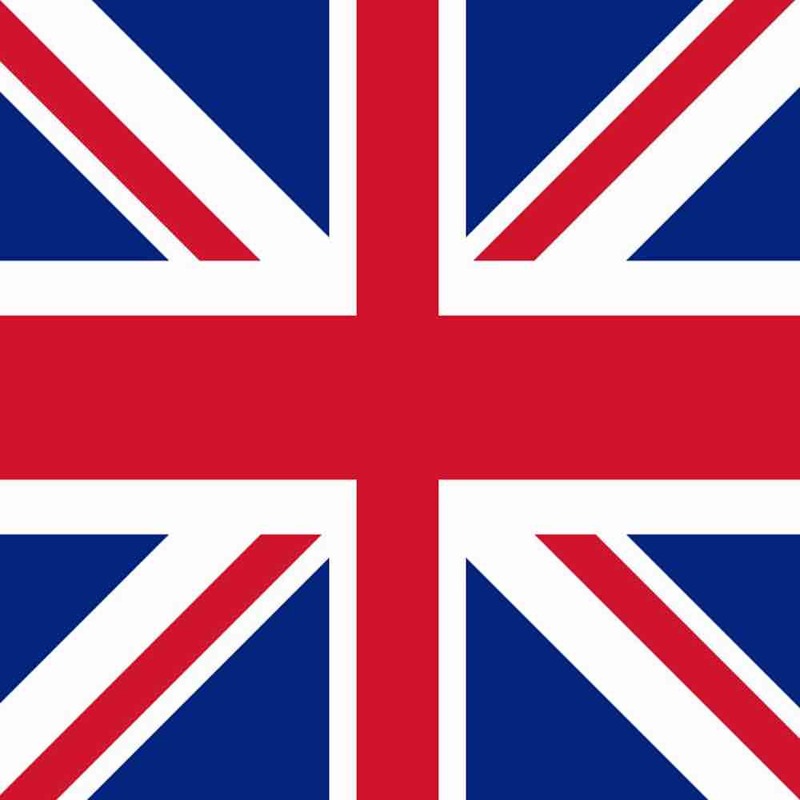 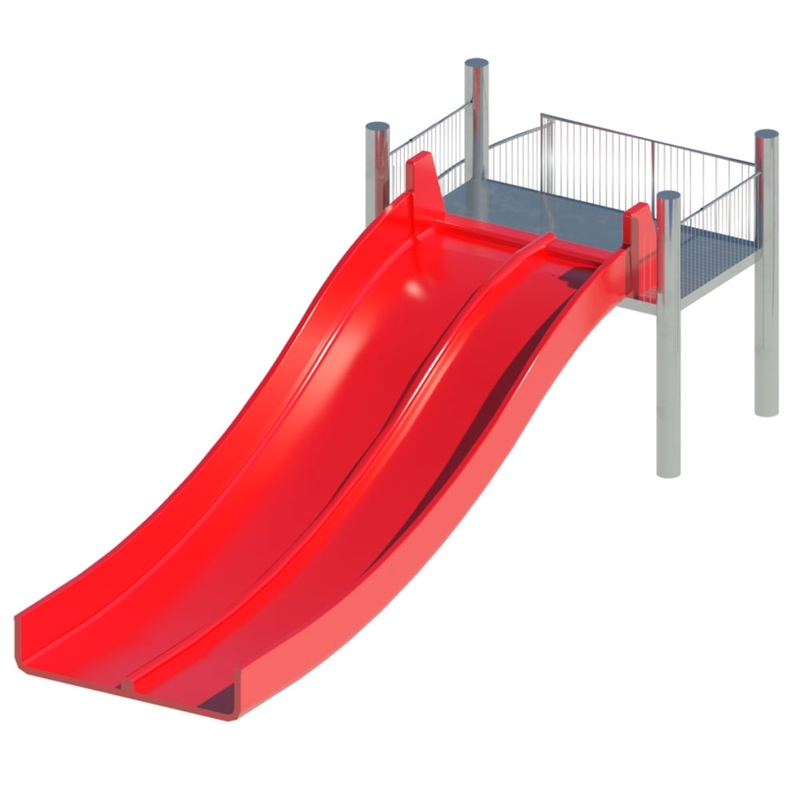 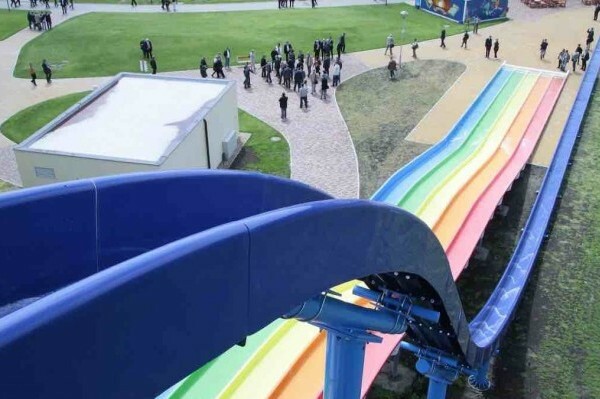 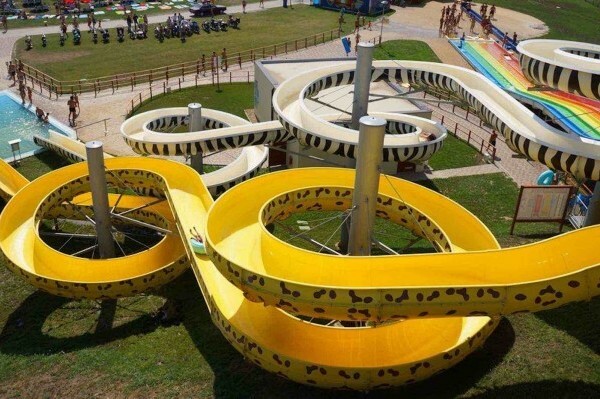 This slide has been designed for exciting challenges between friends and given its specificity, can only be used free body.